The group of five pins near the middle of the picture are the connections to this little amp’s power chip. The reported fault was “intermittent operation”. 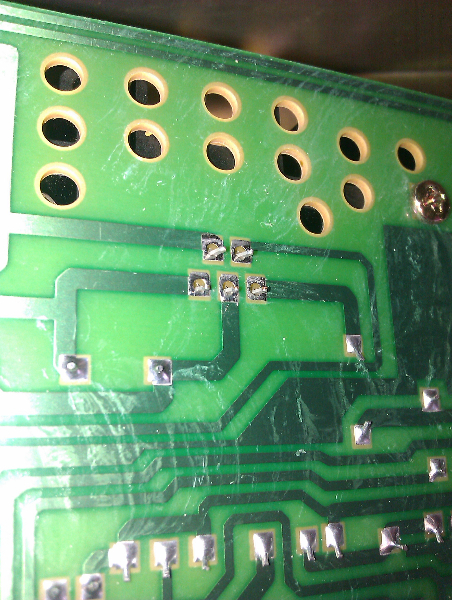 Not surprising really as the pins were not soldered to the board by the manufacturer.